Named the 2016 Campus Teacher of the Year at Ed White E-STEM Magnet School. Tamiko Brown has 20 years’ experience in education and has spent 15 years as a school librarian. 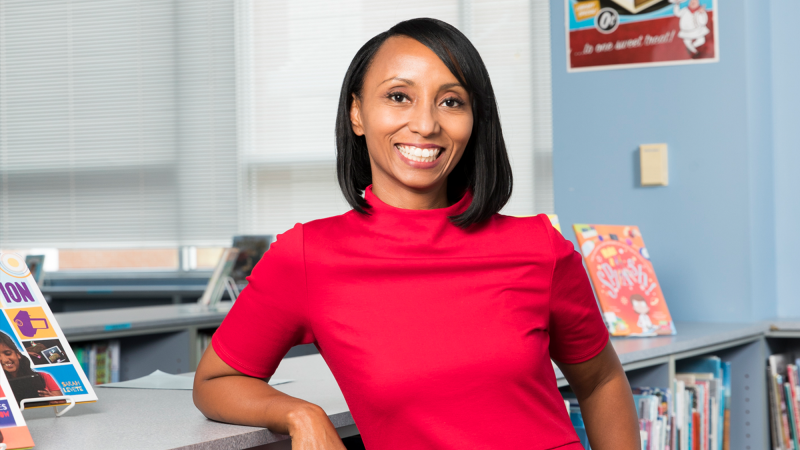 In 2016 she was named Campus Teacher of the Year at Ed White E-STEM Magnet School, and she is School Library Journal’s Librarian of the Year 2017. She was one of the first librarians in her district, Clear Creek Independent School District, to open a makerspace for students four years ago. She is a grant writer, blogger, social media enthusiast, Robotics sponsor, TCEA Presenter, TLA Presenter, Maker Club Sponsor, book club sponsor, and book promoter. She also loves to write in her spare time she has written blog posts for Scholastic and School Library Journal.